Our Funarena! : Cricket: India Beat West Indies, Tendulkar Misses Century of Centuries Again! Cricket: India Beat West Indies, Tendulkar Misses Century of Centuries Again! Coming good after the drubbing in England Team India managed to win the first Test at Firoz Shah Kotla ground, Delhi beating West Indies by five wickets just after lunch on the fourth day today. Incidentally this was the second highest run chase in the last innings in Indian soil. The highest successful chase of 387 runs was by India only in Chennai against England in 2008-09. No wonder, Indian slow spinning tracks always make the last innings a most difficult one for any team, particularly if Indian spinners are in action. But the win was not without a lot of drama and suspense. The Indian batting collapse in the first innings (209 runs) created a lot of uncertainties and the match was delicate balance depending heavily on a powerful batting performance by West Indies in the second innings with a useful lead of 95 runs. But thanks to the total nine wicket haul of the man of the match R Ashwin (six wickets in the second innings) the match finally turned in favor of India. The West Indies second innings folded up for just 180 runs yielding a fighting score of 276 runs for India. The batting stars of Team India came good to take the score to 152 for 2 at stumps on the third day yesterday, Sehwag coming back to form and scoring a good half century. 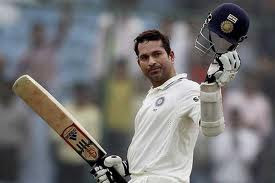 With Sachin Tendulkar not out on the third day with 33 runs and another 124 runs needed for win the scenario looked tantalizing for his dream century of international centuries awaited so eagerly by the Indian fans. Tendulkar scored a masterful 76 and missed the golden opportunity yet again. With Team India winning you should not complain too much about it, because the cricket legend has lot of time left to get to the landmark. Meanwhile he did get another world record of 15000 runs in Test Cricket. Laxman with a half century and Yuvraj nearly saw India through but for the latter bowled out through the gate with just one run for victory. Indian skipper Dhoni, true to his nature, is not fully satisfied with the way victory was achieved; the batting collapse of the first innings is definitely not to his liking. India lead the three-test series against West Indies 1-0. The next Test is coming up on 14th at Kolkata. I had seen this match it was a good one and all played well. These matches turn out to be soo interesting at the end. Thanks for sharing this post.